CCI upgradation: CCI (Camera Control Interface) is upgraded w.r.t I2C (Inter-Integrated Circuit) as well as I3C (Improved Inter-Integrated Circuit) interfaces. Dropped frame synchronization: MIPI CSI-2 v2.1 takes care of 16-bit frame number behavior when a frame of the same virtual channel is not transmitted due to some erroneous situation. Simplifies LRTE (Latency Reduction and Transport Efficiency): Simplifies and resolves the open points missing in the earlier MIPI CSI-2 v2.0 specification such as requirement of number of spacer words, requirement of spacer words w.r.t. each PHY lane, etc. Correct PPI TX/RX signal reference is also provided. Generic 8-bit long packet data types: Introduces new generic 8-bit long packet data types (4 in number) by utilizing few RESERVED data types. This is implemented to utilize these data types as user specific data type packets, applicable for both automotive and IoT applications. CSI-2 over MIPI C-PHY ALP and PPI: Provides guidance for implementing MIPI C-PHY ALP (Alternate Low-Power) when MIPI CSI-2 is used as a protocol layer. It simplifies the concepts of ALP mode and legacy LP mode, and also explains about transmission and reception of ALP commands via PPI signals. Synopsys VC Verification IP for MIPI CSI-2 supports the latest MIPI CSI-2 v2.1 and v2.0 specifications. In May 2017, Synopsys announced the availability of the industry’s first VIP and source code test suite for MIPI CSI-2℠ v2.0, MIPI D-PHY℠ v2.1, MIPI C-PHY℠ v1.2, and MIPI M-PHY℠ v4.1. Synopsys continued leadership with the availability of VIP and source code test suite for the latest MIPI CSI-2 v2.1 specification. VC VIP provides a comprehensive set of protocol, methodology, verification, and productivity features enabling users to achieve rapid verification of MIPI CSI-2 TX and RX devices. 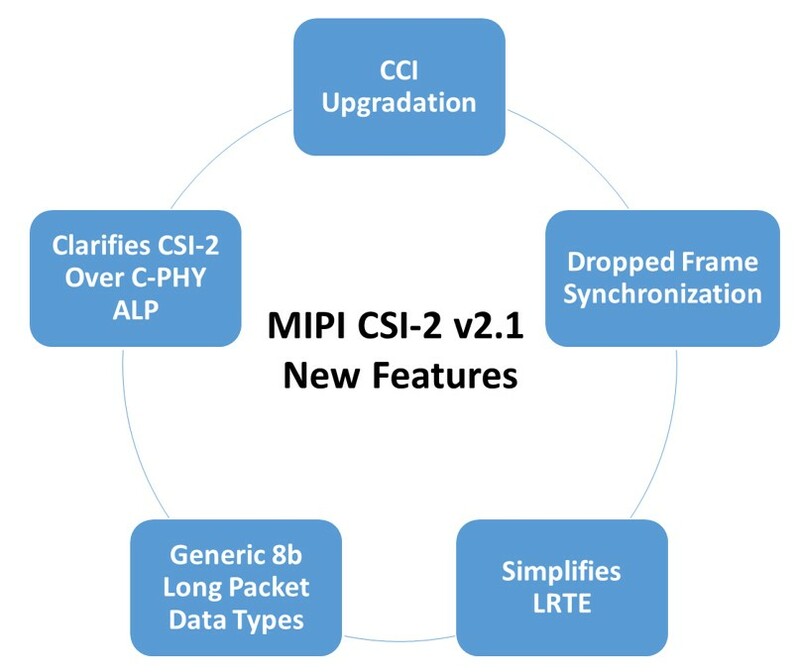 To learn more about Synopsys’ MIPI CSI-2 and other VIP please visit http://synopsys.com/vip. Authored by Saurabh Kumar Singhal. This post is filed under Automotive, C-PHY, Camera, CSI, D-PHY, Interface Subsystems, MIPI, Mobile SoC.